Are you afraid that bed bugs crawl around on you and in your bed while you are sleeping? Does the thought of sharing your bed with these nasty pests make your skin crawl and stomach turn? Well, you are right to be afraid. Bed bugs are the fast growing pest problem in the industrialized world. One out of five Americans has had bed bugs or know someone that has been affected by them. But don’t worry! There are some easy enough tricks and tips to help you banish bed bugs from your home and your bed permanently. Read on to discover how you can get rid of bed bugs for good. Bed bugs (Cimex lectularius) are tiny oval-shaped insects that eat by sucking blood from humans or animals like a mosquito. How Big Do Bed Bugs Get? This reddish-brown colored bug will be anywhere between 1 and 7 millimeters long, depending on where they are in their life cycle. Where Do Bed Bugs Live And What Do They Like? Bedbugs can’t fly but can live anywhere in your home. Unfortunately, these unpleasant insects favor beds, including the mattress, box springs, and bed frames. They can, however, live in other upholstered furniture, like sofas and easy chairs, or in the cracks of other textiles. 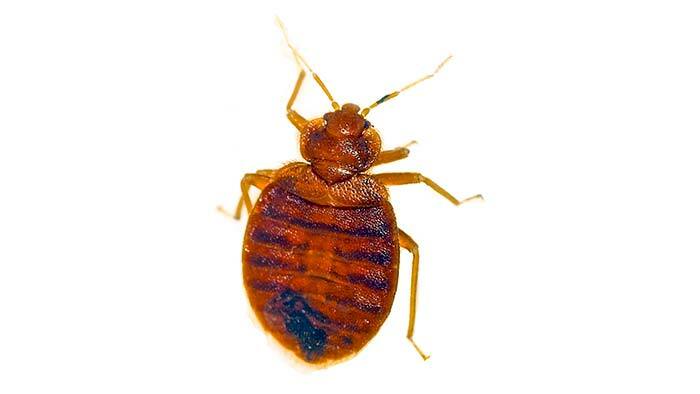 Unfortunately for those that have these unpleasant bedmates, bedbugs feed the most at night. They prey on the sleeping person, biting exposed areas of skin. Bedbug bites are often seen on the face, neck, hands, and arms. 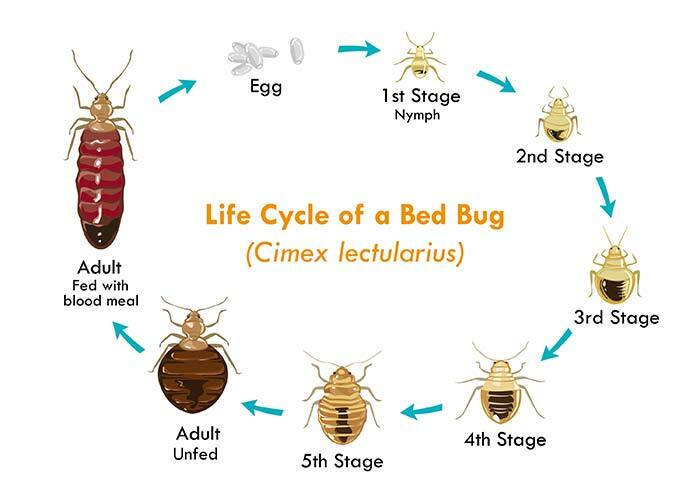 Bed bugs have multiple stages (5 nymph stages and 1 adult stage). How old they get greatly depends on temperature and general living conditions. You can expect an average life expectancy of roughly 9 month given moderate temperature. These pests routinely shed their skins as they grow from one stage to the next. You may find clear skeletons that are in the shape of the bug in your bedding or on your mattress. 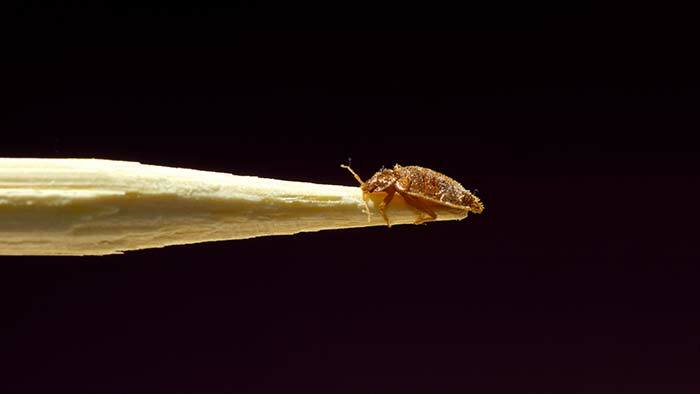 As if finding your bed full of bed bug skeletons isn’t enough, you may notice bed bug droppings in your bed. After bed bugs feed on your blood, they will defecate and leave behind dark droppings that look like stains from a felt tip marker. The dropping often bleeds onto the fabric, leaving behind actual stains. Don’t think that because bed bugs eat blood, their droppings will be blood colored. Because they digest the blood, the droppings will always be dark, almost black. Bed bug bites may be the most annoying sign that you are sharing your bed with these creepy bugs. The bites often appear in rows along any areas of skin that are not covered by your pajamas, though you may get them under your pajamas as well. The bites often appear as red swollen areas with dark red centers. They may itch or have hives or blisters near the site of the bite. A lucky few people may have no reaction at all to the bite, though most will find them to be similar to mosquito bites. So you think you have bed bugs, the question is how do you get rid of them without burning your sheets or resorting to other desperate measures. Follow this step by step do it yourself guide to getting rid of bed bugs. Learning how to identify bed bugs can help you catch an infestation early. Familiarize yourself with the signs of bed bugs so you know what to look for and be ready to take action as soon as you notice any signs of a bed bug infestation. Map out your course of action on a calendar. Killing bed bugs for good takes a bit of time, and it’s important not to skip any steps. Prepare to keep records of where you found the bugs, if you have found them in more than one area in your home, and what you have done. Don’t forget after you complete the process to monitor the area long term to make sure you have killed them all. Any item removed from the infected room should be put in a sealed plastic bag and treated immediately. Anything that can’t be treated for any reason should be sealed in a plastic bag and left for up to a year to ensure that any active bug die. Any item that you are throwing out from the infected room should be in a sealed trash bag and immediately thrown out into an outdoor garbage can. Assess your furniture. If you can be sure you have removed all the bed bugs from it, the furniture can be saved. If not, throw away the furniture immediately and destroy it so someone else won’t be tempted to bring it into their home, thus spreading the bed bug problem further. Arrange for the infested garbage to be picked up as soon as possible with your trash company. Clean up your clutter. Clothing, cardboard boxes, magazines and papers can all be potential hiding spots for these pests. Getting rid of anything you don’t use and keeping any clothing off the floor will get rid of any extra spots that bed bugs can hide. Remember though, don’t move items from the infested room into a non infested room without taking the proper precautions first. Isolate your bed. Move your bed away from the wall. Remove any items that you may have stored underneath the bed and treat it or throw it out properly. Take off your bedding and prepare to treat it. 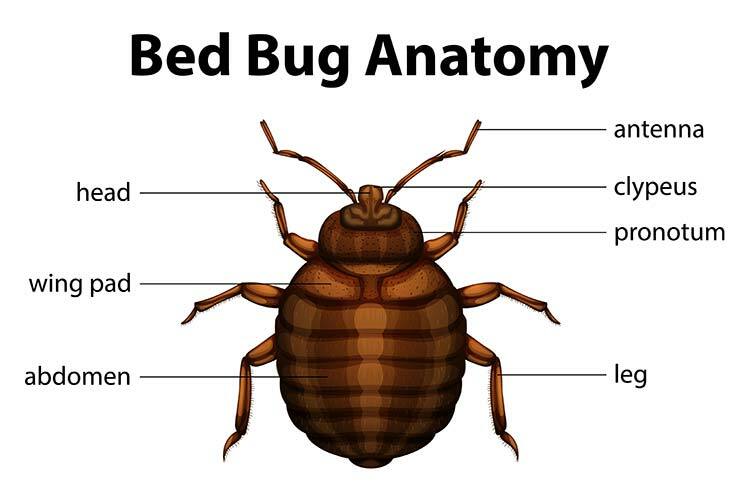 Set bedbug traps at each leg of the bed. These traps, which are available in many home improvement stores, trap any bed bugs that try to climb from the floor up the legs of the bed. In the beginning, you will need to check the traps daily. You can check out a bedbug trap here. Clean any and all items that you are not throwing out that have been in the bed bug infested area. This includes washing and drying all bedding, linens, and curtains on hot and drying for at least 30 minutes in the dryer to kill bed bugs. It also includes vacuuming the mattress and surrounding areas thoroughly and throwing away the bag in a sealed plastic bag, and cleaning furniture, baseboards, outlet covers, and drapery hardware. After you have prepared the space by doing a thorough cleaning and clearing out your clutter, it’s finally time to kill them once and for all. Make sure you have researched and are using methods to kill the bed bugs that are safe, effective, and legal. There are several methods you can use to kill these pests: heat or cold exposure, pesticides, or drying agents. Each methods has its advantages and disadvantages and you will likely need to use some combination of the three to really end the infestation once and for all. Yes, you have already cleaned the area thoroughly but after killing the bed bugs it’s crucial to disinfect the area and clean it again. You want to make sure you remove any other signs of bed bugs now that they are dead to help you continue to monitor the situation. If all the signs of a bed bug infestation are removed, it will be easier to tell if your treatment is working. If you start seeing signs of bed bugs again, you know more needs to be done, whereas if you don’t see any further signs of the bugs the treatment was probably successful. Plus, it’s a good idea to clean up after using any chemical methods of bed bug extermination. Not only are bed bugs disgusting, but they are time consuming to get rid of. A bit of prevention can go along way towards making sure your home doesn’t get reinfested. To prevent a future outbreak, you want to make your home as unwelcoming as possible for these nasty houseguests. Get rid of an clutter that is still remaining. Caulk any cracks around baseboards or outlets. Make sure your wallpaper isn’t loose and your walls aren’t damaged. Repair any damage as needed. You can also buy a bed bug resistant mattress like the Nectar bed. Wash fabrics with hot water and dry in a hot dryer for at least half an hour. Wrap infested items in sealed black plastic bags and leave them in a closed car in the sun for several days. Wrap infested items in sealed plastic bags and put them in a freezer set to 0 degrees Fahrenheit and leave items in the freezer for several days. Select a pesticide that lists bed bugs on the label. Otherwise, you may be using a chemical that has little effect on bed bugs and not solving the problem. Make sure the pesticide meets EPA approval and guidelines. Read all of the instructions on the pesticide. Do not mix the pesticide with any other pesticide or chemical. This can be extremely dangerous. Make sure you protect yourself from overexposure to the pesticide. Wear gloves and a mask when applying and make sure you leave the room for the recommended amount of time. Desiccants dry out bed bugs and can be very effective at killing them. Unfortunately, some of them can take several months to use. Still, they are an option, particularly if using other pesticides and temperature treatment don’t work to totally kill the bugs. If using a drying agent, make sure to use only those that list use as a pesticide on them. There are some that should not be used. You aren’t prepared to read and follow instructions. Dealing with bed bugs on your own requires you to research the problem and follow all instructions. Following the instructions on pesticides is crucial to killing the bugs and your own health and safety. The infestation is severe. If you didn’t catch the infestation right away, it may have spread to other areas of your home. In this case, you may want to consult with a professional as soon as you are able to get the problem under control more quickly. You have tried to kill the bed bugs yourself several times and are still dealing with them. If you find that you have followed all of the instructions above and still have bed bugs, it’s a good idea to consult with a professional that can help troubleshoot your process and kill the bugs once and for all. If you do intend to use a professional, do your research. Not all exterminators have experience killing bed bugs. Check the company’s credentials and recommendations prior to hiring them. If you hire a professional to kill the bed bugs, you should still expect to spend time prior to the treatment preparing the infested area. Expect to clear out clutter prior to their visit. When the pest control professional comes be prepared for them to inspect your home and furniture. According to the Center for Disease Control, bedbugs are not known to spread diseases. They are not a medical hazard. Instead, these nasty pests are more of a nuisance since their bites can cause itching and disrupt sleep. Do I need treatment when bitten? Are there home remedies for bites? You can manage the itching at home with calamine lotion or other anti itch creams. Oatmeal baths may also help to relieve some of the itching and discomfort temporarily. An antihistamine can also help relieve itching. Can bedbugs cause an allergic reaction? Yes, bedbugs can cause an allergic reaction. Generally bedbug reactions get worse with exposure so the longer the infestation lasts and the more you are bitten, the worse your reaction will be. How did I get bedbugs? Bedbugs are extremely mobile. You can get them from visiting an infested hotel or home. Because bedbugs are so small, they are very good at hiding and will often hide in suitcases, car upholstery or other fabric and get transported from place to place unknowingly. Who is at risk for getting bedbugs? Everyone is at risk for getting bedbugs. You are more at risk if you travel a lot and stay in an infected area. Can I See Bed Bugs Without Magnification? Yes, if you look closely you can see bed bugs without any visual aid. Their size ranges between 1-7mm which makes them visible to the human eye. 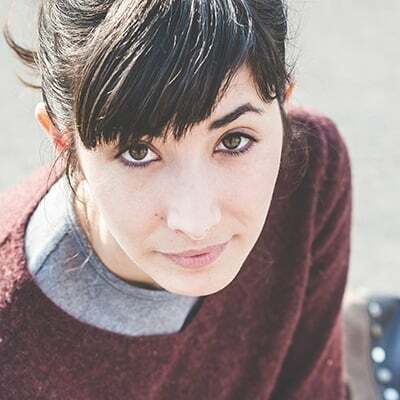 Bedbugs are a disgusting nuisance. These little insects are experts at hiding in cracks and crevices and can cause disruptive itching. No one wants to share their beds with these nasty blood suckers. Fortunately, you can take control of your bedbug infestation with some hard work and time. With some diligence you can eliminate them yourself without needing to hire an exterminator. A collection of great CSS tools and resources can be found at html-css-js.com: code beautifier, cheat sheet, style generators, useful links and more. 2019 King vs Queen Bed Guide: Which Size is Best for your Needs?